Tata Motors officials have confirmed to various news aoutlets that the Indian carmaker's first performance offering, the Tata Tiago JTP will launch next month in time for Diwali. 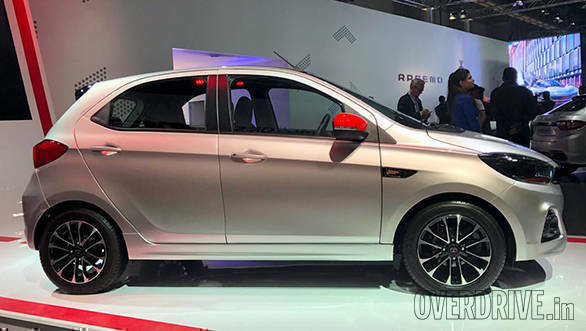 At the 2018 Auto Expo earlier this year, the company had showcased both the Tiago JTP and Tigor JTP. However, there was no concrete confirmation about when these cars would make it to production. But this announcement and several sightings of the cars undergoing testing suggests that the company is serious about the launch timeframe it set for itself. This car is a result of Tata Motors' partnership with the Coimbatore based Jayem Automotives called JT Special Vehicles, a 50:50 joint venture. The Tata Tiago hatchback has been doing strong numbers for the company in terms of sales. The Tiago JTP comes equipped with a 1.2L turbocharged Revotron motor that makes 110PS and generates 150Nm of torque, which is much more than the 85PS/114Nm in regular version. This motor is mated to a 5-speed manual transmission. 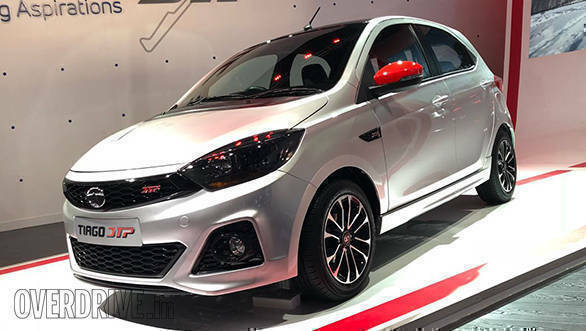 The company has still not disclosed any claimed figures on acceleration and top speed which we expect to be quicker and faster than the regular Tata Tiago. 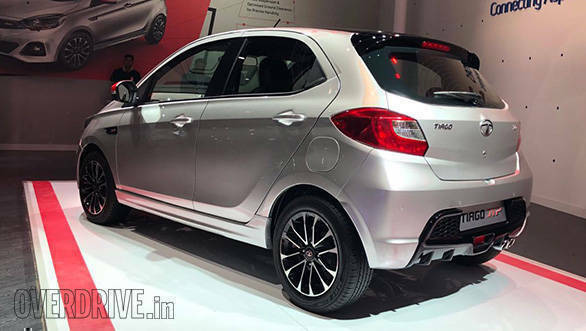 In terms of design, the Tata Tiago Sport comes with sportier styled kits that includes larger scoops on the bumpers and side skirts along with distinct exterior colour schemes, similar to the Tata Sport that was showcased at the 2016 Auto Expo in India. The cabin of the Tata Tiago Sport is equipped with all-black interiors, leather wrapped steering with contrasting red stitching, aluminium pedals and Harman infotainment system.